TDP kept struggling to prove its existence in Kadapa District since 2014 Elections. YCP was able to bag almost all the MLA and MP Seats in this district. Ahead of the 2019 Polls, TDP Leadership received a massive blow in the form of Rajampet MLA Meda Mallikarjuna Reddy's revolt. Meda Mallikarjuna Reddy made up his mind to join YSR Congress Today in the presence of YS Jaganmohan Reddy. As a result, TDP Chief Chandrababu Naidu suspended the MLA from the party after he didn't respond to the invitation from CMO to settle the issue. Notably, Media Mallikarjuna Reddy was also Government Whip in the AP Assembly. He had few differences with Kadapa District TDP President Srinivas Reddy. 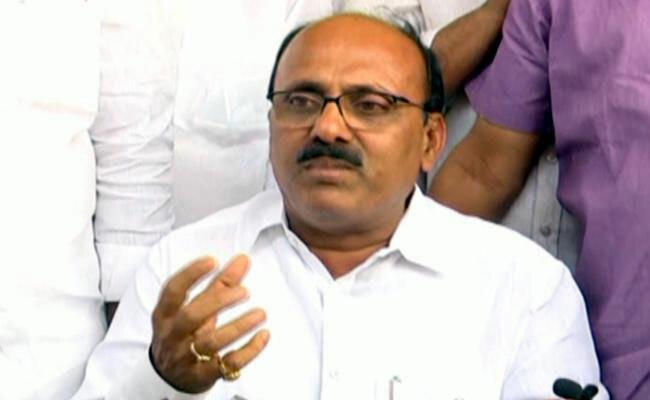 Meda was miffed with TDP Leadership offering cabinet berth for Adinarayana Reddy who defected from YCP. Meda announced his brother Ragurami Reddy will be YCP Candidate from Rajampet. He was inactive in the party since few months. That itself offered enough hints about his exit from Telugu Desam. Minister Adinarayana Reddy conducting a meeting with TDP Leaders in Rajampet in the absence of Meda exposed the group wars. A decision was taken by TDP Leadership to appoint Red Bus Founder Charan Raj as Rajampet In-Charge. Subsequently, Meda decided to big adieu to the TDP. Pawan To Remain One-Man Army?